The inspiring words of Prophet Muhammad holds a special reference on Eid-al-Fitr, the Muslim holiday that marks the end of the holy month of Ramadan. Apart from influencing centuries of spectacular architecture and fashion. Fashion plays a major role in Eid. It’s heard the Prophet Muhammad used to wear his best cloak for Eid al-Fitr and Eid al-Adha – so how can we be left out from following sartorial pursuits on this remarkable day! Festival fashion is all about looking your best. Spice up your ensemble with lots of colors and sass. Everyone likes to dress up well, and men are no more left behind. They have also become quite cautious in nailing that perfect look and step out in their fashionable best. For that and more, we’ve compiled some helpful tips for men; this eid enhance your personality and flaunt your stylish avatar, dragging a hell lot of attention!! 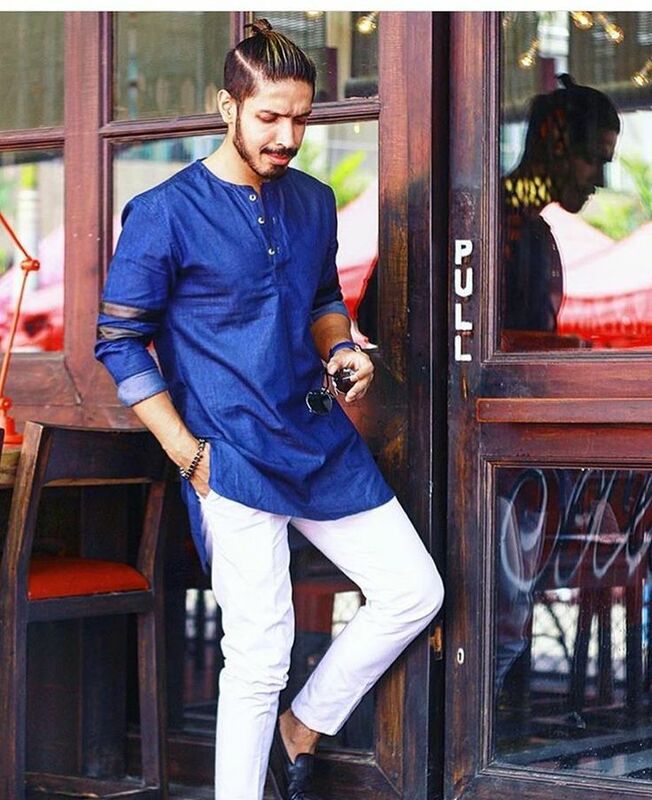 Men Kurtas are life and soul of any Indian ethnic wear. It’s the most versatile form of clothing for men, suitable for all kinds of family gathering and other occasions. Available in a plethora of designs and style, kurtas for men complements all kinds of looks, occasions and style. 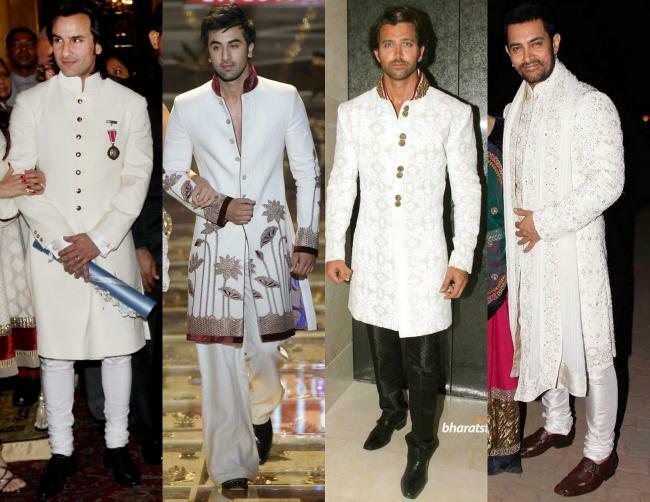 Look your sparkling best in a sherwani! The long coat with a mandarin collar and buttons on the front is one of the most favored festival clothing items, and Indian men adore it. Carefully balancing the traditional design and contemporary style, sherwanis are perfect for a well-matched look during the festival season. For an edgy and youthful look, pair denims with kurtas. The striking combo is a quintessential festival staple. If you are unsure about what kind of denim style you should go for, a slim fit jeans is always high on preference, and excessively flattering. Straight fit denim also looks stylish, and you will find mid-toned blue to be an obvious choice. More naturally. Festival or no festival, designer shoes for men need to be always stylish and comfortable. These days, they have the ability to make or break an entire look, so be conscious of what you are wearing on your feet. More so, you need to stand on them at a stretch for long hours, so be cautious. Fellmonger loafers shoes for mens have turned out to be an on-point snazzy shoe, both comfortable and offbeat. Brogues can also be great, and works well with muted shades or semi-bright colors. Fellmonger boasts of a diverse collection of loafers, brogues and slip ons that are downright durable, comfortable and withstand all sorts of festival expedition jaunts. Sunglasses are the most common accessory you swear by for all occasions. Worn with all kinds of clothing, a pair of mirrored sunnies can uplift your sartorial aesthetics to a whole new level. They also tend to be a life-saver, when you spend all day outside under the glaring sun. On the other hand, a single bracelet or a tiny but sparkling diamond stud works perfectly with all-ethnic attire. Hope, now you’ve chosen what to wear and when!